‘proficiency’ or ‘doing something well’. When applied to the Qur’an, it means giving each letter of the Qur’an its rights and dues of characteristics when we recite the Qur’an and observing the rules that apply to those letters in different situations. We give the letters their rights by observing the essential characteristics of each letter that never leave it. And we give them their dues by observing the characteristics of each letter that are present in them some of the time and not present at other times. The Quran was revealed with Tajweed rules applied to it. When the angel Jibreel (AS) recited the words of Allah to the Prophet Muhammad (SAW) he recited them in a certain way and he showed the Prophet (SAW) the ways in which it was permissible to recite the Quran. It is upon us to observe those rules so that we recite it in the way it was revealed. 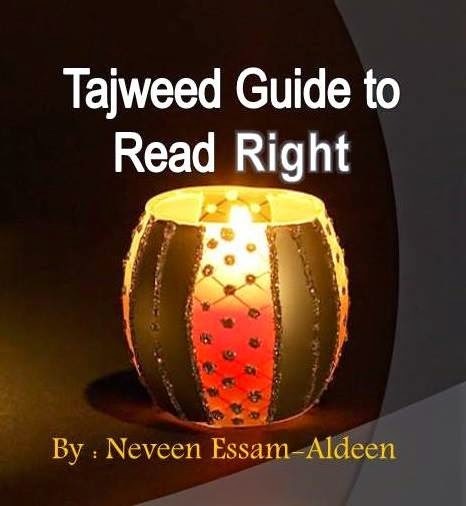 At the time of the Prophet (SAW) there was no need to study Tajweed because people talked with what is now known as Tajweed ,so it was natural for them. When the Arabs started mixing with the non-Arabs as Islam spread, mistakes in Qur’an recitation started appearing, so the scholars had to record the rules. Because Arabic that Arabs speak has changed so much from the Classical Arabic with which the Qur’an was revealed, even Arabs have to study Tajweed. The Qur’an is the word of Allah, and its every syllable is from Allah. Its recitation must be taken seriously. is to make the reciter proficient in reciting the Quran, observing the correct pronunciation of each letter with the rulings and characteristics which apply to each letter, without any exaggeration or deficiency. And so through this the reciter can recite the Quran upon the way of the Prophet (SAW). as he received it from Jibreel who received it from Allah in the Classical Arabic dialect that it came down in. Sifaat – attributes, or characteristics -particular to them. Knowing the Makhraj and Sifaat of each letter is an important part of Tajweed. Sometimes two letters have very similar exits which makes mixing them up easy. If a person does not know the attributes of each letter there is a danger that he will change the meaning of the words in Quran recitation. Observing the rules of Tajweed in reciting protects the reciter from making mistakes in reciting the Quran.